Rabbits are exploited as multi-purpose animals. Regardless of whether it’s for meat, wool and fur, laboratory use, show, or as companion animals, they suffer tremendously. Sadly, the majority of these social and inquisitive animals are raised in cruel and inhumane environments. Confined to tiny, barren cages with no opportunity to express natural behaviours is abhorrent and incompatible with the widely accepted principles of the Five Freedoms of animal welfare. While the rampant breeding of domestic rabbits for the pet industry has been lucrative for some, the misconceptions and inaccuracies that have been promoted and perpetuated over the years have had widespread ramifications. Until recently, baby rabbits were widely supplied to pet stores and inaccurately marketed as cheap, low-maintenance pets, suitable for young children. The needs of the rabbits were totally overlooked, trumped by financial interests. The ready availability and impulse buys contributed to numerous instances of neglect, abuse, and abandonment. Unwanted rabbits were left behind on moving day, surrendered to shelters, pounds, rescue groups, or dumped outdoors – unsterilized. 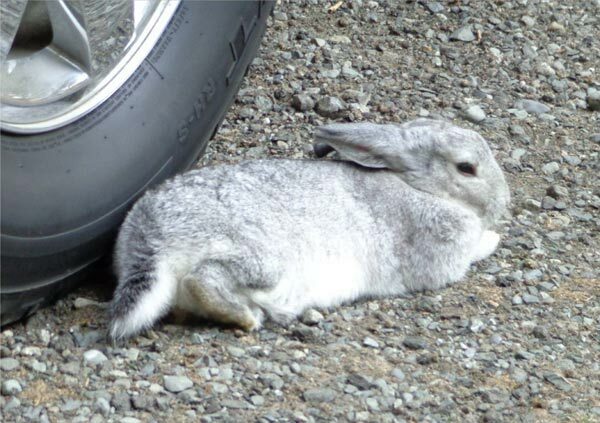 There they bred, and continued to breed while struggling to survive, until municipalities throughout BC were full of discarded rabbits and their offspring. Most often, their existence was short and miserable due to predators, illness, weather, starvation, injury, and human action. When populations became problematic, institutions like the University of Victoria and the City of Kelowna hired trappers to eradicate them. That ended fairly quickly due to massive public outcries. Rather than resorting to lethal control, efforts should be directed toward prevention methods like humane education, and strong bylaws with enforcement. Several cities, such as Kelowna, Richmond, Victoria, Coquitlam, and the three North Shore communities, have bylaws that restrict sales of rabbits sold in pet stores to those that are sterilized, or sales have been banned outright. Rather than a patchwork of laws, a more effective strategy would be for the province to implement legislation to regulate the sale of unsterilized rabbits. Delta Councillor Bruce McDonald proposed just that, bringing the motion forward at the Union of B.C. Municipalities convention, and on September 27th, delegates voted 55 percent to support the resolution. Rabbits, like all animals in society, need our protection. As such, it is incumbent upon our officials to provide progressive, ethical policies and legislation. After all, our moral values are embodied in our laws.